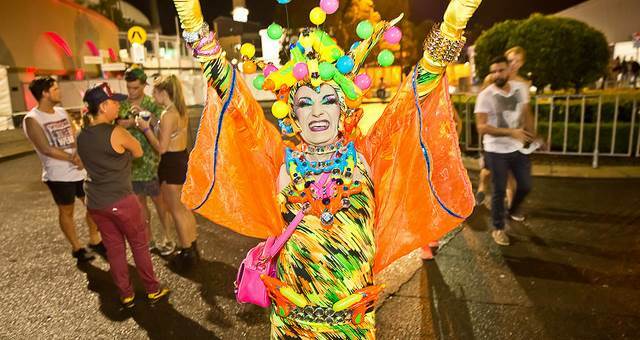 New Mardi Gras chairman David Imrie told SpiceNews today (Feb 3) it had knocked back an offer by Events NSW to move to the annual celebration of gay and lesbian rights the Sydney Olympic Park and other venues in Sydney’s west. “Events NSW has offered us the opportunity to inspect various venues around Sydney as a means of presenting us with the potential opportunities to develop our event portfolio in the future,” Imrie said. “[But] there are no plans whatsoever to move Mardi Gras from it’s current location. Talk of the potential move has electrified Sydney’s gay and lesbian community following an article that appeared in The Sydney Morning Herald on Saturday (Jan 31) that said the organising committee was considering the move. The report said the move could be rationalised by the high number of gay and lesbian people living in Sydney’s west and the increasing prevalence of hate crimes reported in the Oxford Street entertainment precinct. However, the commitee is in the process of consolidating its roots to the Darlinghurst area and will move its offices from the inner-west suburb of Petersham to Oxford Street following the 2009 event.